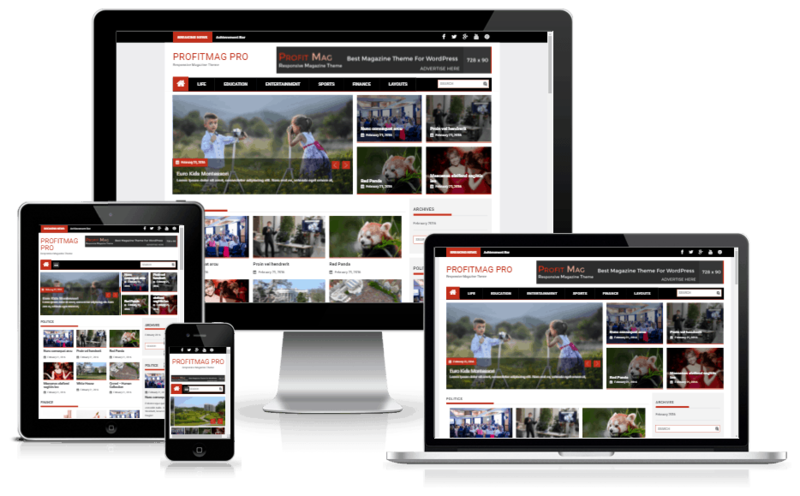 ProfitMag Pro is a clean and responsive magazine theme with an elegant design suitable for blog, magazine, news or any editorial websites. It comes with a highly customizable theme customizer that let you manage the website at an instant. It is suitable for news, magazine, publishing, media houses, tv channels, journal and other editorial websites. Footer divided into 2 sections upper and bottom part with 4 widget fields in each. New option to display slider from latest posts. Two new size option for blocks beside slider. Title for slider on mobile view. color options for different section.